If you are running an older and outdated version of the SugarCRM CE application then most probably you would like to have that upgraded to the most stable recent version of SugarCRM CE. This can be down quite easily if you follow the upgrade steps we will fully describe in the next few lines of this tutorial. In order for the upgrade you are about to perform to be successful you will need to first find out the version of your current SugarCRM CE installation. This can be found quite easily if you login into the application with the admin user and click on the About link which is located in the upper right corner of the page. This will cause for the About page to be displayed and there you will be able to see the version at the very first line of text. 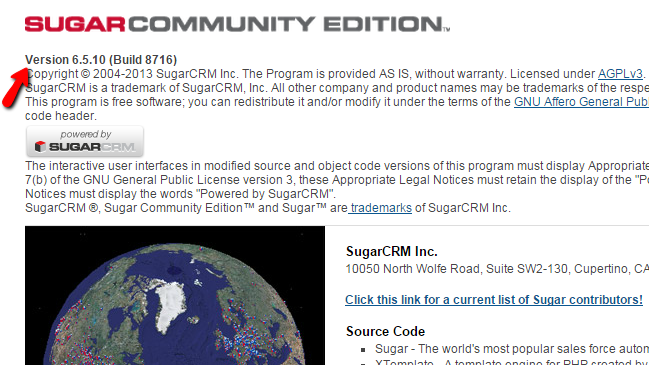 Now that you know the actual version of SugarCRM CE it is time to download the upgrade package. 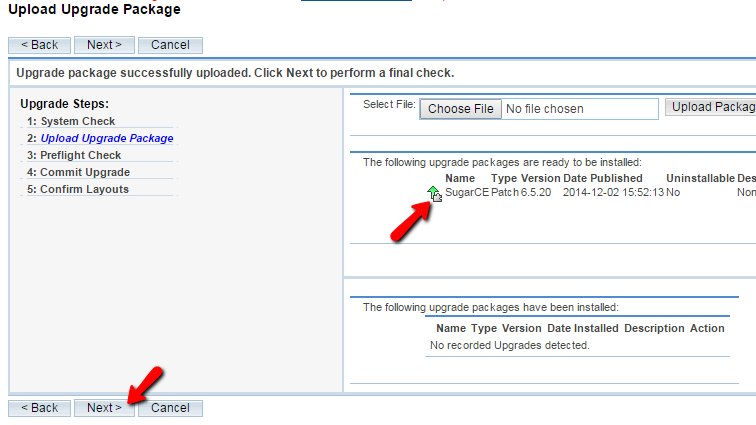 All the upgrade packages are available under the SourceForge SugarCRM CE upgrading page. 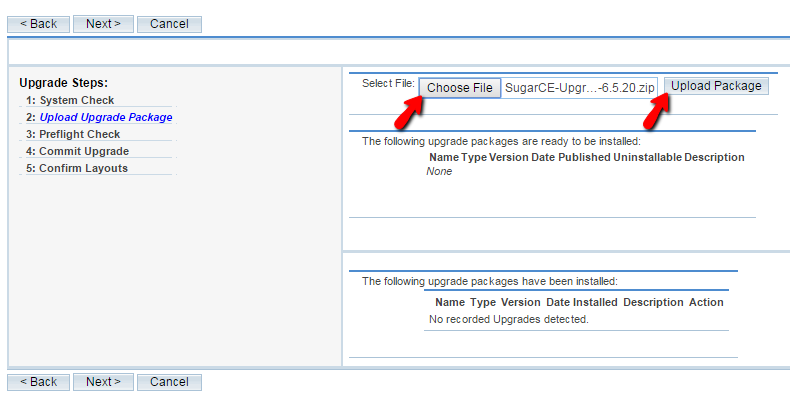 For example if you are running SugarCRM CE version 6.5.10 and you would like to upgrade it to the most recent one you will need to download the SugarCE-Upgrade-6.5.x-to-6.5.20.zip package from the SourceForge page. Once you download the archive you are ready to move on with the upgrade. 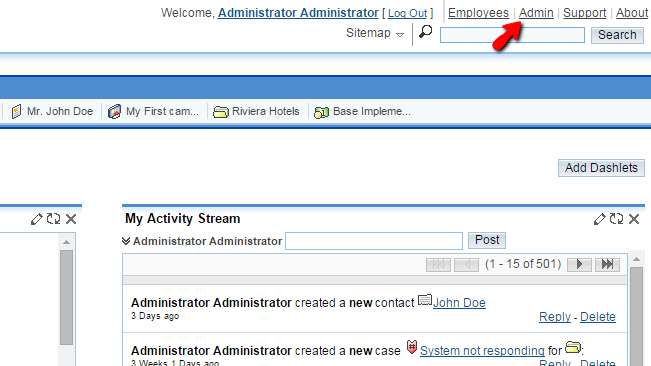 In order to initiate the upgrade of the SugarCRM CE application you will need to login into the Admin area of the application. Then navigate to the Upgrade Wizard link located under the System section of settings. Once there you will be able to start with the upgrade and respectively finalize it. The whole process will be further discussed in the next step of this tutorial. 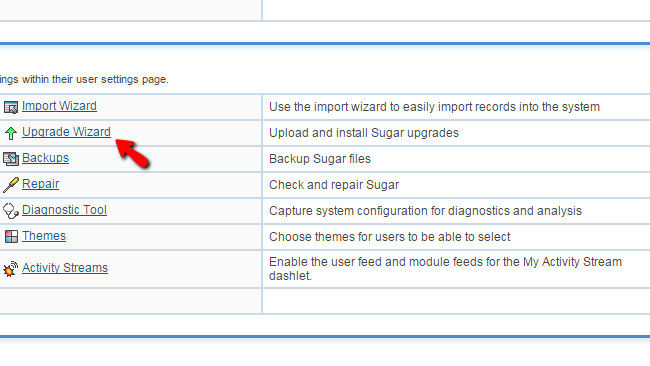 Once the Upgrade Wizard is accessed you will need to click on the Next button so the wizard can perform a check on all the configuration options for your SugarCRM CE and verify if the upgrade will be compatible with the current setup. Once this is done you will be forwarded to the second step of the upgrading process where you will need to upload the upgrade archive which you have previously downloaded from SourceForge. Please click on the Upload Package button once you gave the package pointed. Then the script will extract the archive and verify it. If everything is ok with the upgrade package you will notice how the package will appear under one of the sections in this step. Please click on the Next button so the wizard can proceed further with the Preflight Check. This type of check will verify if the upgrade package and all the requirements for the successful upgrade are met and if they are you will be informed about that. If everything is ok with the check you should click on the Next button so the actual Upgrading process can be initiated. On the next screen you will be provided with information that all the files were successfully upgraded. Then you will need to click Next once again so the wizard can also upgrade the database. Finally after the whole process is completed you will be provided with the appropriate message and by clicking on the Done button you should be able to finalize the upgrade and cancel the upgrade wizard. Congratulations! You have just performed a full scale upgrade of your SugarCRM based website!